The Lions must beat not only the Wallabies but also history in the three-Test series which begins later this month. Their status as one of the great names of rugby rests more on charisma and great moments than any record as a winning team. The reality of their existence is in matches that were described by Australian writer Brian Matthews in reminiscing about his life as a fan of the perennially unsuccessful St Kilda Australian football team: "Struggle, defeat and hope springing eternal." Sam Warburton's team is the 21st to leave these shores since 1924 - the first Lions squad to represent an official venture by the four Home Unions rather than hopeful private enterprise. Four - those of 1971, 1974, 1989 and 1997 - have returned as series winners while the 1955 team split a memorable contest with the Springboks. The remaining 15 lost. Their combined Test record - excluding the drawn match against Argentina on home soil in 2005 - is a matter of 25 wins, 49 defeats and 6 draws. There have been only six wins, plus two draws, in 34 matches in New Zealand with 10 victories and four draws in 33 matches in South Africa. The good news for Warburton's men is that the bright spot is Australia, with nine wins in 13 matches. Nor did the move to professionalism in 1995 make any difference to that pattern of roughly two defeats for every victory. The four teams who have travelled since 1997 have a combined record of four wins and eight defeats. But perhaps we should not be too surprised by this. The challenge facing the Lions has been as a scratch side - albeit one of a very high order - taking on the best teams in the world on their own turf. While the frequency of modern internationals means we know much more of these faraway lands than we once did, that reality has not changed. Of the four professional Lions teams, three have confronted the current World Cup holders. Nor can we expect to see too many individual Lions records being rewritten in Australia. 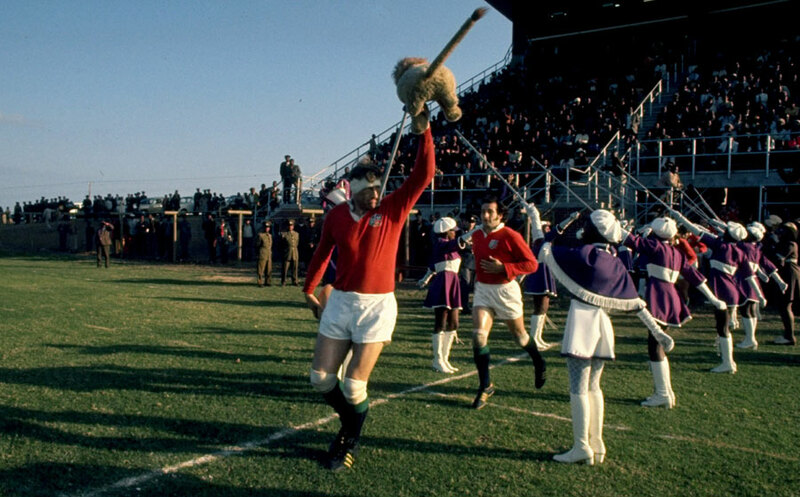 Willie John McBride's all-time record of 17 Lions tests looks completely unassailable. Should either of his compatriots Paul O'Connell or Brian O'Driscoll play all three matches in Australia, they will rise only as far as joint eighth on the all-time list, with nine appearances. One record which is within the grasp of O'Connell, O'Driscoll or Gethin Jenkins (five Tests so far) is that of the most capped 21st century Lion. Even the admirable Martin Corry might be surprised to learn that he holds this one, with seven appearances from every Test in the 2001 and 2005 tours. 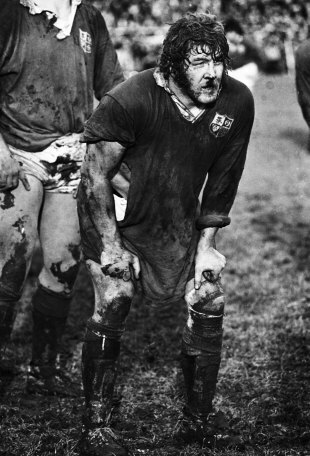 Nor is anyone going to become the Lion who has played in most Test wins, jointly held by eight players with five wins of whom Mervyn Davies, Ian McLauchlan and JPR Williams share the best record of five wins, two draws and a defeat as the trio who played in every Test on the triumphant 1971 and 1974 tours. And somebody will have to have a truly spectacular series to get anywhere the all-time record for tries - Tony O'Reilly with six, one ahead of JJ Williams - or points, for which Jonny Wilkinson's exceptional display against Argentina in 2005 squeezes him a single point ahead of Gavin Hastings, with 67 to his 66. But at least the losing record - Graham Price's 10 defeats in his 12 matches, is also out of reach, although Gethin Jenkins will be anxious to lose his distinction as the Lion who has played most Tests (five) without getting so much as a draw, never mind a win. 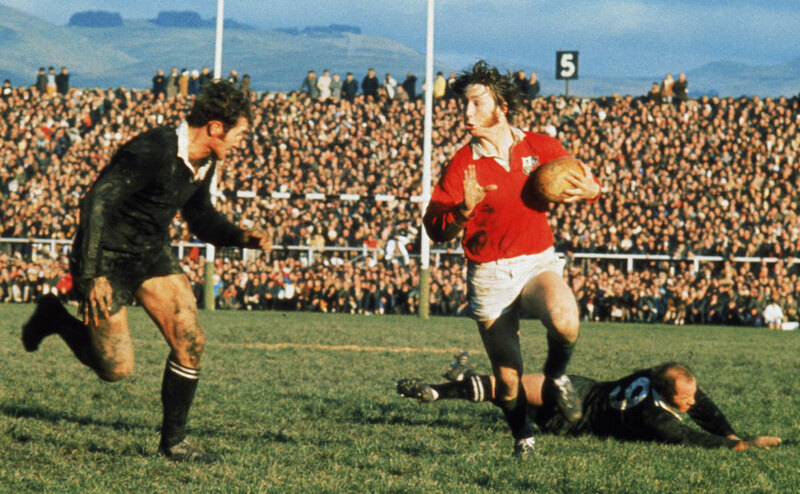 The history of Lions v Australia divides into two periods, that from 1930 to 1966 when it was essentially an add-on to tours of New Zealand, and then since 1989 when the rise of Australian rugby and the (then) isolation of South Africa prompted its elevation to the rank of regular full tour host. Defeated at Sydney in 1930,the Lions returned to Australia in 1950, 1959 and 1966 for two-Test visits, winning the lot as compensation for a trio of squads who managed only a single win between them (in 1959) in 12 Tests against New Zealand. The two modern three-Test series offer mirror images. In each case the team which lost the first Test resoundingly - the Lions in 1989, the Wallabies in 2001 - hit back to win 2-1. The Lions can take cheer from one element in their itinerary, playing the first Test in Brisbane, which is - or certainly should be - their favourite city anywhere in the world. They have played there five times, at four different locations, and won the lot. In 1989 they began their comeback in the 'Battle of Ballymore' while 2001 saw a devastating first Test performance at the Woollongabba, highlighted by tries which showed the remarkable talents of O'Driscoll and Jason Robinson at their most vivid. They have a marginal edge, four wins to three, on four different venues in Sydney, although they lost on their only previous visit to Stadium Australia, and less happy memories of Docklands Stadium in Melbourne. Docklands saw the Wallabies begin their 2001 comeback in front of a crowd clad in gold scarves given out by the Australian Rugby Union, which was horrified at the way Lions had made the previous week's match in Brisbane feel like a home match for the tourists. Some Lions v Australia records should be vulnerable. Simply by playing in one Test O'Driscoll will emulate his compatriot Noel Murphy, previously the only man to have played (in 1959 and 1966) in two separate series against the Wallabies. He'll also fancy a shot at erasing Murphy's mark of three wins over Australia. Whoever takes on the Lions kicking duties will hope to erase Wilkinson's all-time record of 36 points while should Leigh Halfpenny wind up combining kicking with a Test place on the wing, he may fancy a shot at the record for tries - two, currently held jointly by two Irishmen - Jimmy Nelson and Tony O'Reilly, two Welshmen, D Ken Jones and Malcolm Price and an Englishman, Jason Robinson. A similarly multinational effort (including assists from Scotland and New Zealand) will be needed to see off the Wallabies over the next few weeks.